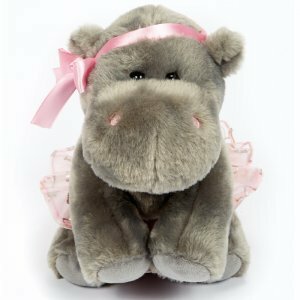 Dasha Designs Dance Hippo is an adorable plush hippo. 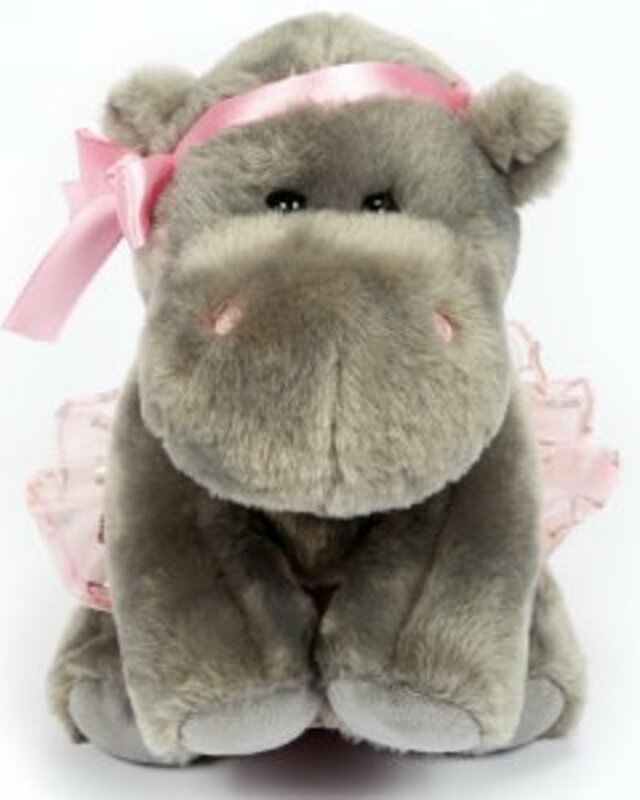 This hippo wears a pink satin headband and pink polyester tutu covered with silver hearts. It is a perfect gift for any tiny dancer. The super soft fur will make anyone want to hug it forever.